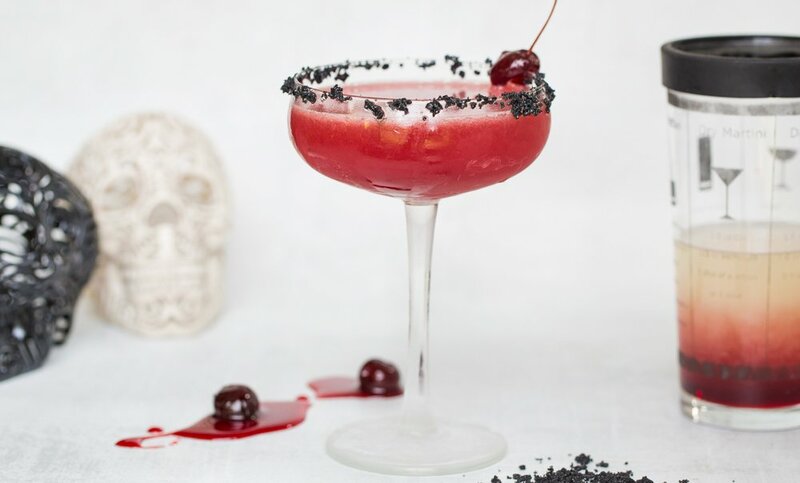 Only a 2 weeks until Halloween & Day of the Dead, so you better practice your margarita-making. Here is another version that’s creepy and so delicious! Trader Joes sells these at a great price. 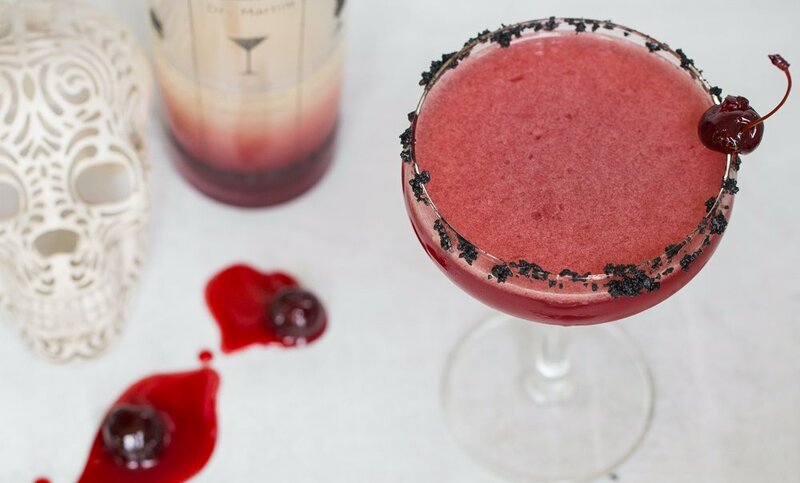 Use a dash of the syrup to sweeten the margarita — if you like it sweet, use more. The syrup also sinks beautifully into the cocktail if you prefer to serve a stirred (not shaken) version. A cherry looks cute on the rim of the glass, or plop inside.